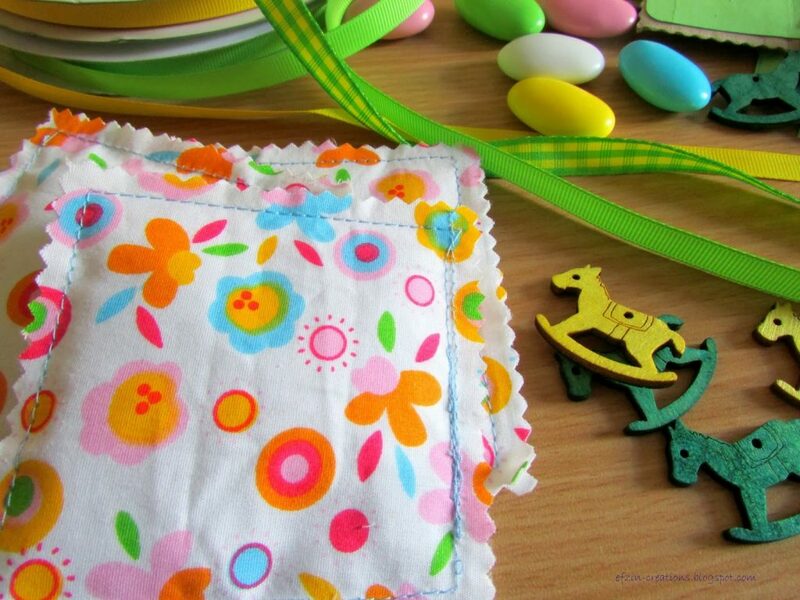 A few weeks left and just to be sure I started creating many small gifts for my baby’s welcome. Here in Greece we do not have the known as Baby shower but at least we can offer too many sweets in the maternity hospital for my baby’s birth! 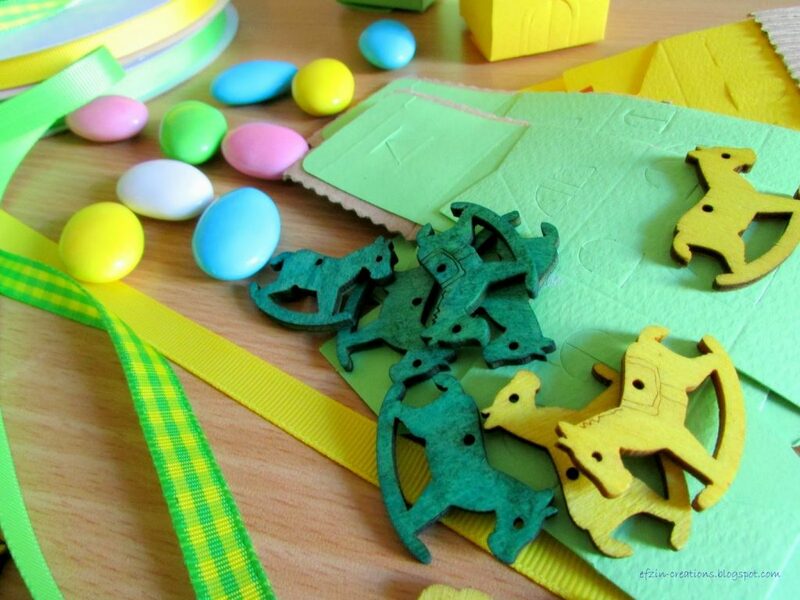 too many colors but I wanted mostly the Green and Yellow… paper crafts, beautiful ribbons, chocolate caramels, fabric scraps, small wooden toys…. are you curious???? Wait a few days and you will see…. ok…there are too many now that I see them again. At least I have a great friend to help me!!!! I can't wait to meet the baby!!!! So great! I threw a shower party for my best friend's first born and she was so excited!AriadnefromGreece! Are you going to post photos from the party on your blog Ariadne? Cannot wait to receive mine too! You are always welcome! you know that ! It all looks wonderful! Cheery and bright! Perfect for welcoming the little darling! 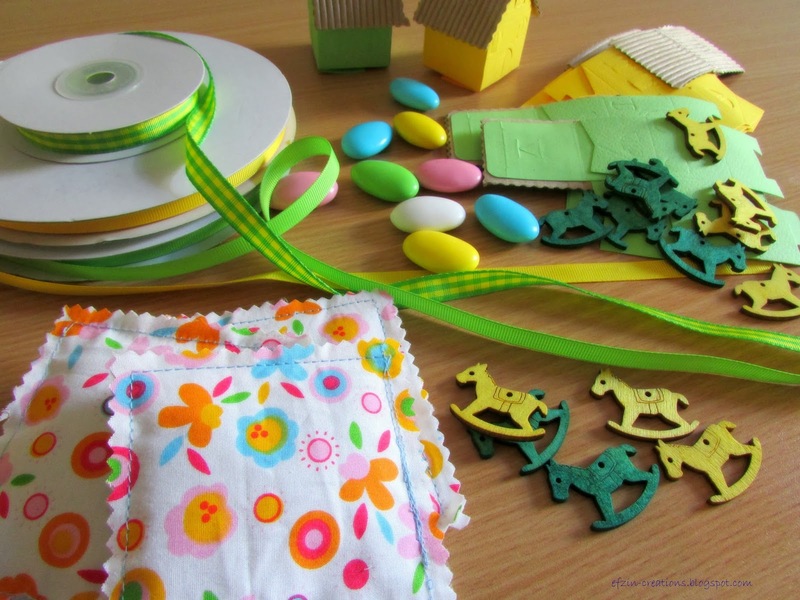 I can't wait to see what you are crafting again…especially with the fabric scraps!